Packaging design that ally global Milka and local Bonibon brands. Bonibon is a very well-known Turkish brand of sugar-shelled chocolate buttons with its iconic tubular package. With the decision of filling the Bonibon buttons with Milka chocolate, a new packaging design is required. 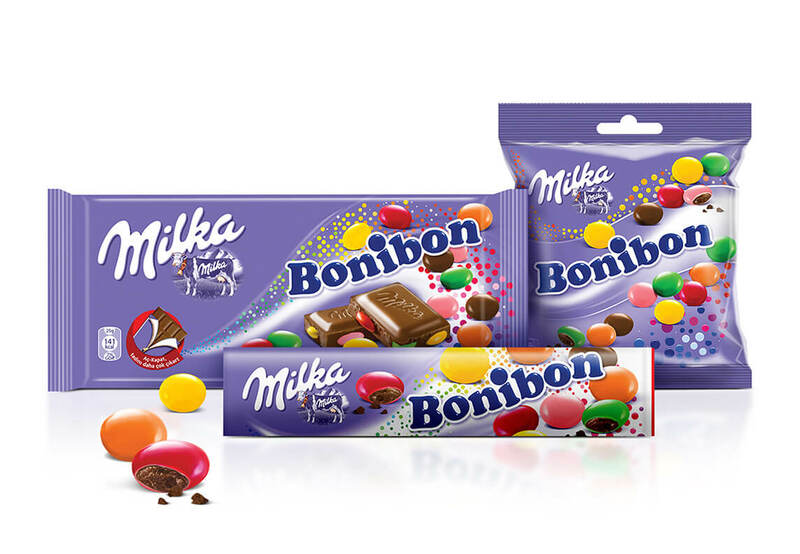 Within the new Milka-Bonibon range, there are both Bonibon buttons filled with Milka chocolate and Milka chocolate bar with Bonibon buttons. Therefore the new packaging design aimed at combining the brand architecture of both brands. With this aim, worldwide known wavy form of Milka reinterpreted with colorful dots inspired by the world of Bonibon buttons. The new colorful wave visual provided a common language for different Milka-Bonibon packages.